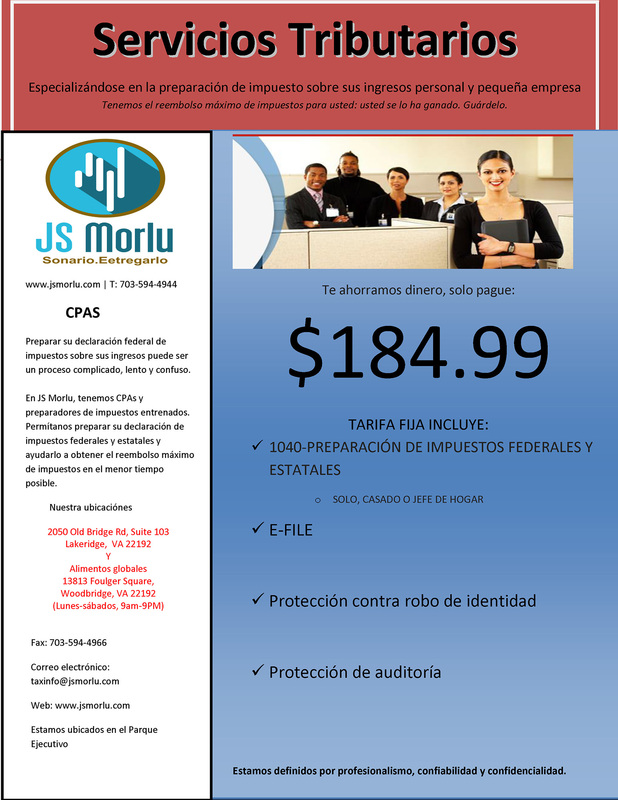 We help our clients to pay only what is due to the taxing authorities, maximizing clients’ tax payment opportunities in each tax jurisdiction where our clients do business. 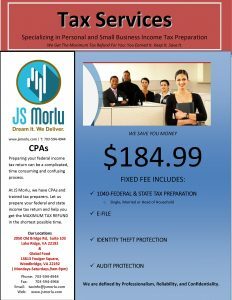 Our Tax Accounting Practice is headed by a partner with more than 10 years of experience in domestic and international tax accounting. Did you know that the IRS estimates the average person will spend 26 hours to prepare their income tax return? Let us save you time and money by preparing it for you. 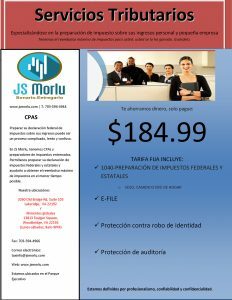 Studies have shown that the IRS is less likely to audit a tax return that has been signed by a CPA. 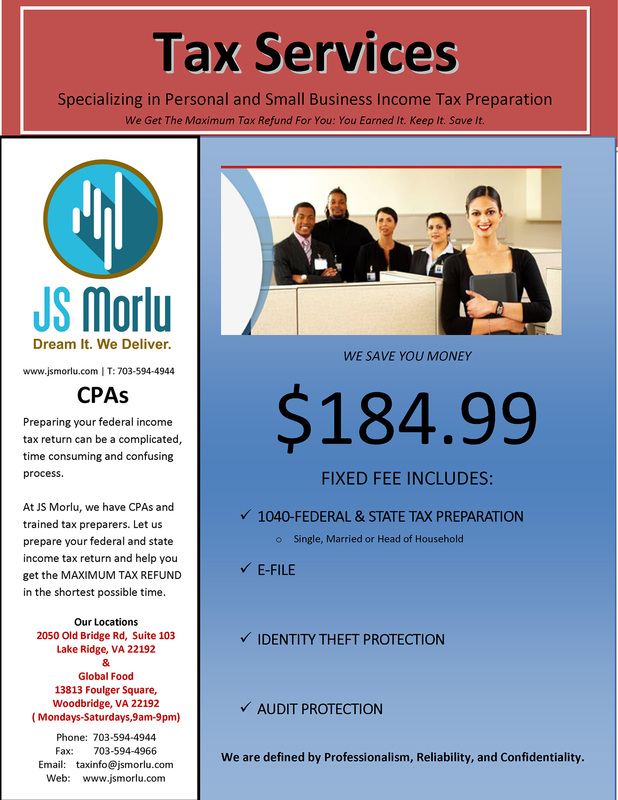 We can prepare your personal or business federal and state income tax returns.